Window cleaning in Richmond Hill is about more than scrubbing panes of glass, it’s about providing professional, respectable, and efficient work that gives your home or business the look you need. With full interior & exterior of cleaning services we’ll make your windows look brand new. When you use NICK’S Window Cleaning, you get the full treatment: well-trained and experienced cleaners, safe work that looks out for you and our workers, and a convenient schedule that works for you. When you hire window cleaners in Richmond Hill, we come with a wide array of benefits that many people don’t realize. Not only can professional window cleaning teams do the work that you may not want to do, but they’ll do it right the first time, making sure your property looks it’s best. Whether it’s your home, or your business. If you’re looking for the best window washing services in Richmond Hill, be sure to contact NICK’S Window Cleaning. Don’t settle for window cleaning services that don’t take the work as seriously as it should be. Only with the right professional team can you get the look your home or business deserves. While many people think window cleaning is just simply the panes of glass, professional window cleaners know that there’s much more to it. Every aspect of your windows and their casing, from the edging to the sills, needs to be sparkling clean to get the best effect. With our window cleaning in Richmond Hill services, we provide the complete clean, taking great care to scrub every single inch of your windows. This not only gives you the best looking windows possible, but gives us pride in that we can give you the clean and professional look you need. Cleaning windows in Richmind Hill comes with certain risks and safety obstacles. It can be working at a great height, using specialized equipment, or the cleaning products used to give windows that beautiful, crystal clear shine. Since the work can be dangerous, NICK’S Window Cleaning and our staff take it very seriously. That is why all of our workers are fully bonded and insured. This is in place to protect our workers in the case of an accident, but to also protect our clients should anything happen. Using professional, bonded workers is an important aspect of our business, and we pride ourselves on providing quality work that respects your people and ours. At NICK’S Window Cleaning, we understand that our services may be needed at almost any time. That’s why we’re dedicated to creating window cleaning maintenance plans that work for you, both in terms of when we perform our services and how frequently. We are available six days a week, working throughout the day, which means you can have window cleanings when it works best for you. Whether it’s a home or business, window cleaning should be convenient, so we will work with you to make sure our services only benefit your business, and won’t get in the way of what you do best. Experience the beauty of sparkling clean, bright windows with our full interior/exterior Richmond Hill window cleaning services. We provide service to residential and commercial properties up to a maximum height of 3 storeys. Not sure if your property is too high? Just give us a call to discuss the details. Our fully insured workers are highly-trained, professional, and personable. We believe providing great customers service is an important aspect of service delivery and we aim to make sure that not only are your windows clean but you are a happy customer. Building strong relationships is a very important aspect of our business. Give us a call today and experience what makes NICK’S Window Cleaning one of the Richmond Hill’s top-choice window cleaners. If your home has skylights, picture windows, or is several stories tall it is much better to hire a professional window cleaner than trying to clean those windows yourself. It can be dangerous for homeowners to try and clean large windows, especially windows on higher floors. It takes practice and expertise to stay safe while cleaning windows and using tall ladders and other equipment. A professional window cleaner has the training and experience to clean windows safely. Instead of risking your safely trying to clean all the windows in your home let an expert who has access to commercial grade equipment and cleaners do it for you. Are you tired of your home looking drab? Getting the windows professionally cleaned is an easy way to improve the look of your home without spending a fortune. Clean and sparkling windows will make your house look new again. That’s because professional window cleaners can power through years of dirt, debris, sand, and other things that stick to your windows. When the windows are really clean your home will look fresh and inviting again. 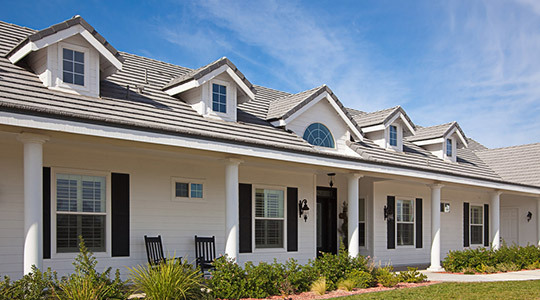 If you’re tired of seeing your house look old and run down try a professional window cleaning for a quick face lift. There’s no substitute for professional quality window cleaning. Cleaning outdoor windows isn’t as easy as grabbing a bottle of cleaner from the grocery store and wiping down the windows. Professionals have the right cleaners and equipment to truly make your windows shine.